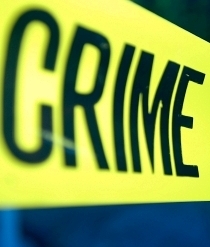 (CNS): A man was robbed of cash outside his home in George Town early this morning as a gun was held to his head. Police said that on Friday, 17 June, at approximately 5:55am a man leaving his home on Crewe Road GT was accosted as he walked towards his vehicle by three men, one of whom had a black square handgun and the other two had machetes, the suspect with the gun held the gun to the victim’s head and demandedcash from him. The victim handed over substantial amounts of cash to them. They also took his cell phone and other items of property. And so the Cayman Islands doubled my Work Permit fee from $7,000 to 14,000 in one year and the difference is? Sadly, Cayman is no longer the place it was when you could keep any large amount of cash at home. I would never say anyone deserves to be robbed at gunpoint but you can put yourself in the position that it is likely to happen. Cash should be dropped at the bank at a different time each day (maybe even a different branch). It doesn't cost much at all to use the disposable night bags. Cayman is not safe enough to keep cash around any more. Apparently the in-thing is; guns wrapped in plastic bags, lowered into septics held with transparent fishing lines… mmmm… last place I would surely look… besides, I soubt the K9's can sniff that out.. hummpppphh! Cayman Islands = Mass Status Grants = Mas Population Increase = Crime on Increase = Mass Exodus = Good Bye Good olde Cayman Islands, O fair homelands Cayman Islands I'll always think of thee." God bless the Cayman Islands and I hope we will return to the days of our Christian heritage without political parties. The only thing I really agree with is to get rid of thre political parties, they have been our downfall. Power corrupts. 5.55 am, not many cars on the road-where was the helicopter and how many escape roads were blocked? ? Did they leave on foot? Don’t they have a canine unit? Time for the old Cat O Nine, what is happening to the Caymanian Society? So help us God. All and every security personnell has to register and have a police licence to operate. Knowing exactly who, when and where to hit and vanish into thin air. There is something very sinister going on here. This 6' 2" individual has been described in a number of robberies yet no sign of the police being able to track this man down. There is some dark work at play here; I truly feel it for the people of Cayman right now. I'm not sure I understand your posting…there is NOTHING in the law which prohibits someone from hiring another person to act as a PERSONAL bodyguard.. those persons who act as security in public service capacity, ie: bouncers, nightclub security, uniformed security guards, alarm installers, et al…need to be "licensed"…so forgive my confusion why having complete background and conviction checks are a BAD thing??? Anon 18:16 you best be quiet we know who you are? we are watching you right now via CCTV a team of intelligenty aggressively dressed Security agents in Pink with white gloves have already been dispatched to your location to deal with you accordingly. yes Cayman this is the way some in this country believe we should live and they have in fact hijacked our society with Politics ,Immigration, Crime, Security, and made themselves very wealthy in the process. Those now tinkering with population expansion want to push us even further to some far more destructive situations. Just another day another robbery in Dartistan oh i guess there will be another raid from the Intelligently aggressive Po leese on another house looking for another darn Toy Gun quick! hide it in the dog house they will never find it there. I hope we don’t have to suffer another media speech from the police mascot with his verbal Incontinence dribble!